Say, that looks great! Nice effort on learning Illustrator. As a painter by trade, I question the need to prime the fabric. I would wipe the area with denatured alcohol before applying product. 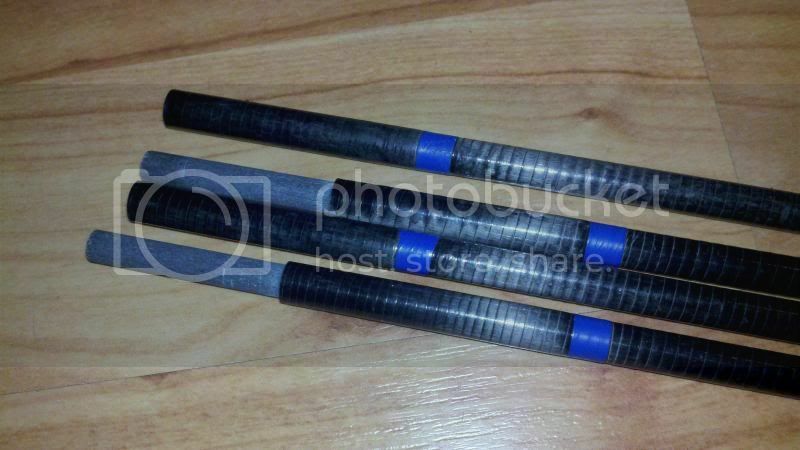 And allow 24hrs before testing adhesion and film strength. "Dry" paint is not fully cured. Looks like your almost there! 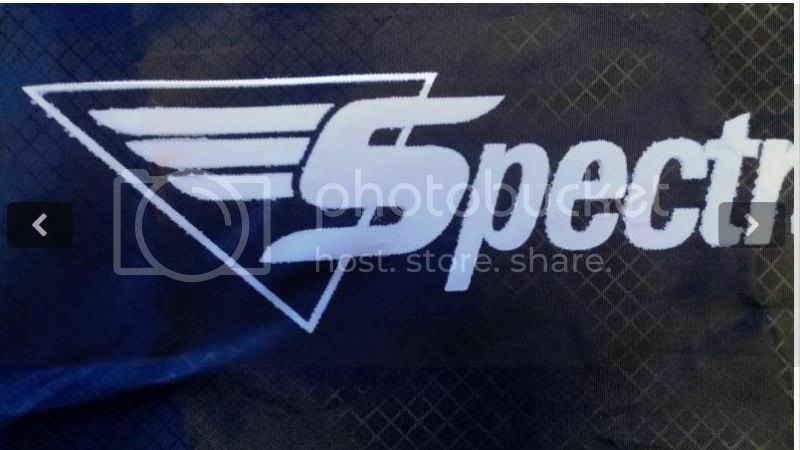 I've been curious, did the old logo completely vanish from the sail? I actually just watched a tutorial from Krylon on painting cotton shirts with their product. Looks like primer isn't used also so I will not use it and especially if you also advise to avoid a primer. Hopefully this will get painted today before I get on base tomorrow for the week. This will definitely give the paint time to properly cure and not let my dirty fingers get a hold of it too early! 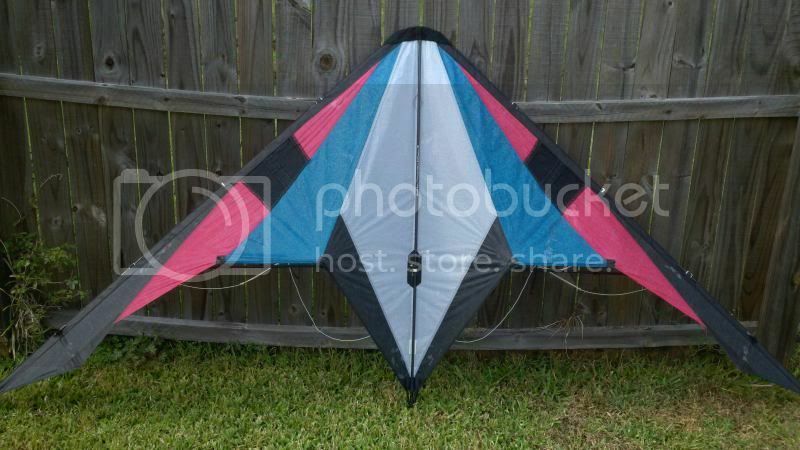 The kite was left in my garage on an upper shelf for almost 7 years before I opened it up. The heat in the garage can reach insane temps, especially in the middle of a Florida summer. The decal partially flaked off upon touching it. The majority washed off when I cleaned the sail with mild detergent. I eventually just brush scrubbed the remaining specs of paint off and cleared the sail of the logo. I will now follow the directive to keep kites properly stored in cool locations and out of direct sunlight for extended periods of time! Here are the poor results from using the cad-cut vinyl stencils. The Neopaque was so horrible to apply without being water reduced down 20% and sprayed or spread like a screen print process that I decided to NOT show any of those results. Here are the less worse Krylon can sprayed results which bled badly into the fabric. 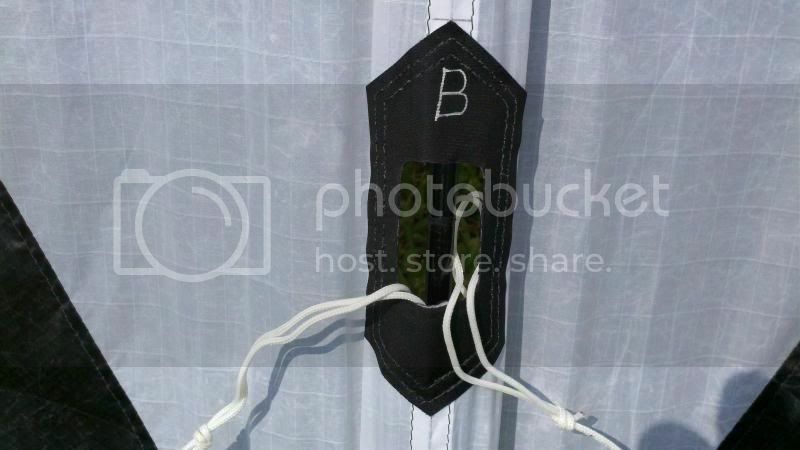 I think this was due in part to the added chemicals that help propel the paint material had also penetrated the fabric and the adhesives in the vinyl stencil. 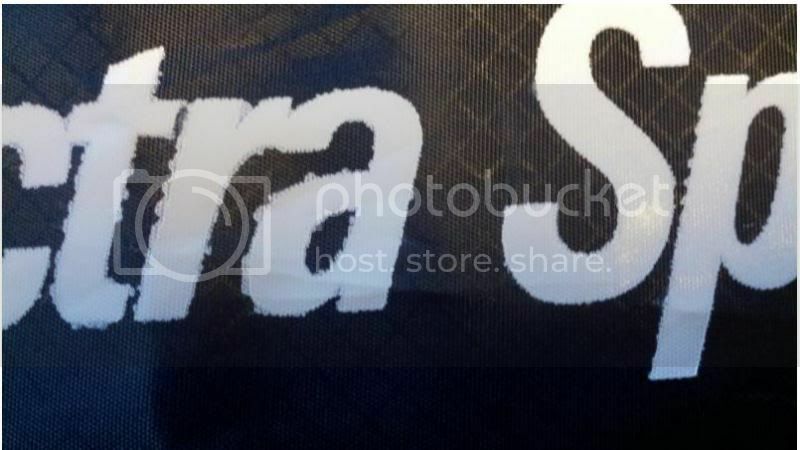 Spray can paint also appears to be too light in texture compared to screen print plastisol paints. These results were from many, many light coats with 5 minute wait times in between. 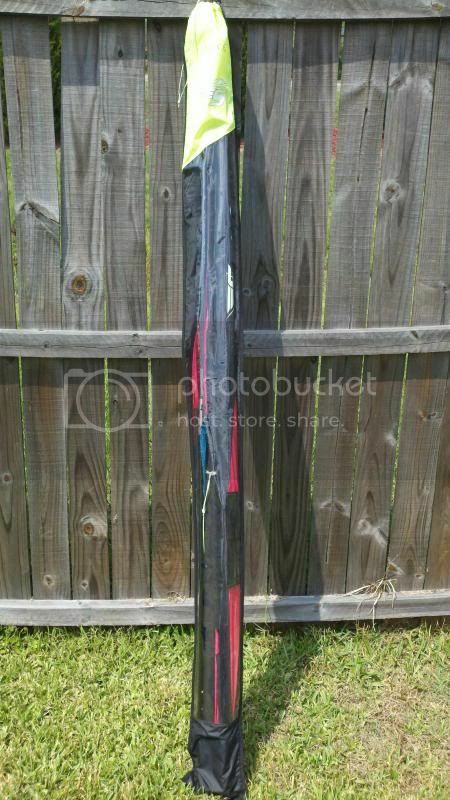 I would not risk heat transfer on a vintage sail. Fly and enjoy the kite as it is, don't take the risk of ruining it by putting a cherry on top. To me, the risk far outweighs the benefit. 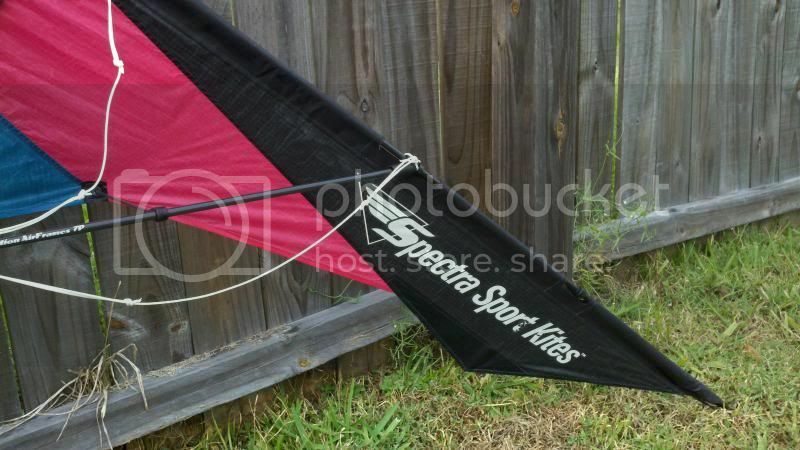 I remember a friend who got obsessed with a safety sticker that was on the wing of his new kite. 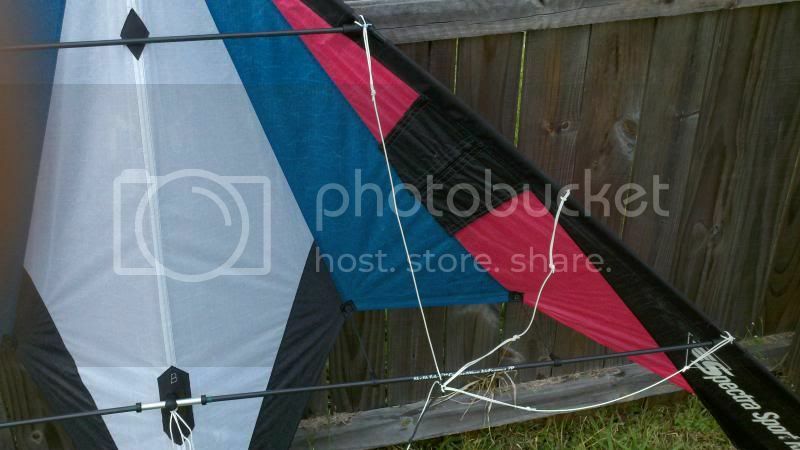 He thought the sticker upset the kite's balance and was determined to "fix" it. He peeled the sticker off, but there was a glue residue left. 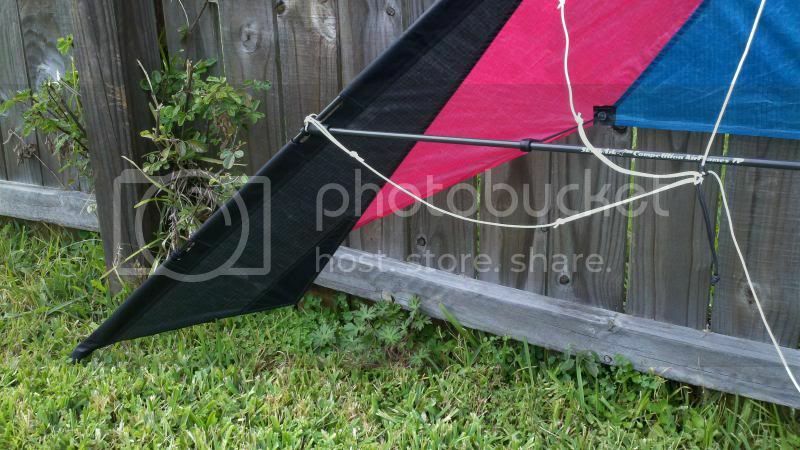 He tried various solvents to get the residue off, but ended up staining the sail. He was never happy with the kite again. I say this with respect, but you will only get one chance to do it right. I agree 100%... no offense taken. 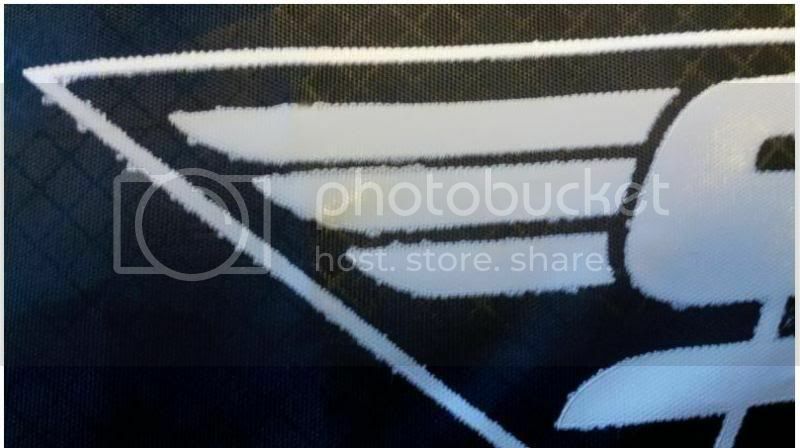 I feel the same way, that is why I've used swatches of ripstop nylon to test and I've continued to post my story of this restoration on GWTWforum.com to get as many honest opinions of veteran fliers like yourself. 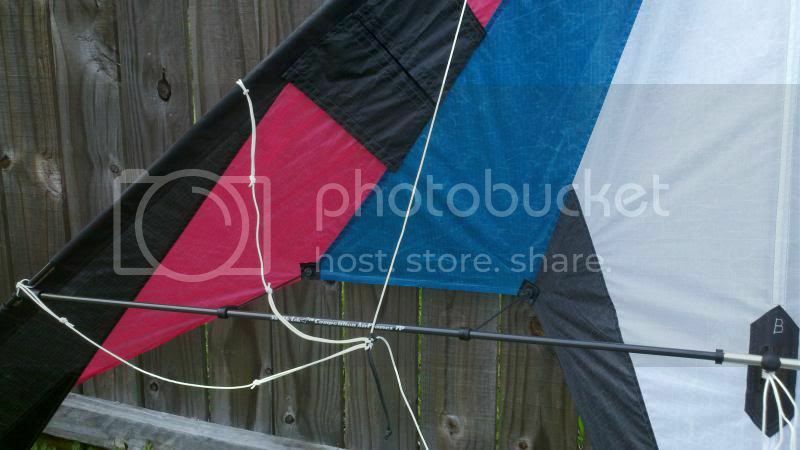 This will likely be my last attempt and if it doesn't look good enough or possibly even causes surface markings on the test material, at that point the kite would stay naked the remainder of its existance. 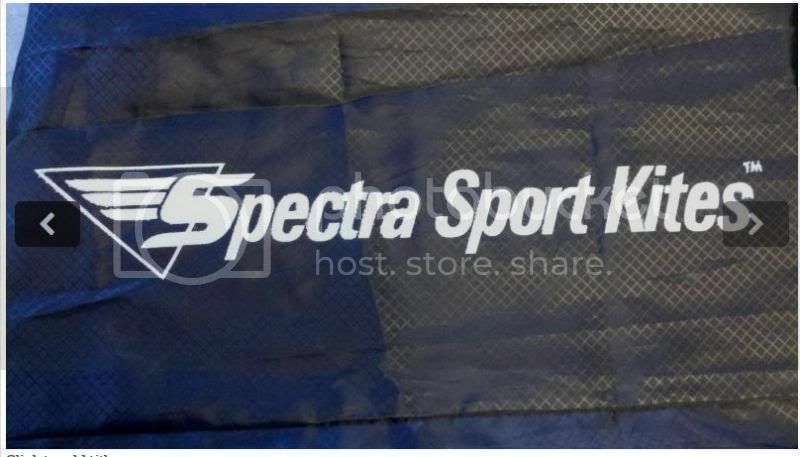 It still retains the safety tag that contains the company name on the lower left section of the sail and the upper spreader itself has the Spectra logo. It will have to suffice. To compensate I just purchased a nice certified pre-owned Reactor for another restoration project. This time I will be more careful with the washing of the sail! 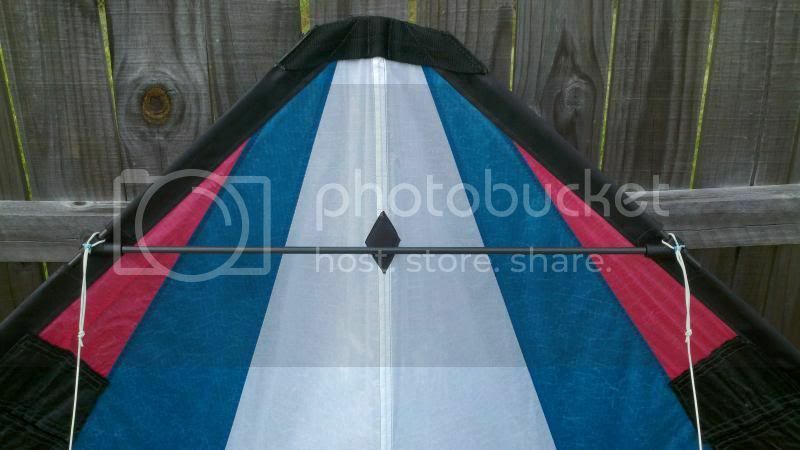 Ugh don't heat transfer onto that sail. If you want to use paint you need to do it in very light coats to prevent the bleeding and use some removable silicone fabric glue to hold the stencil down and help seal gaps between the stencil and fabric texture. 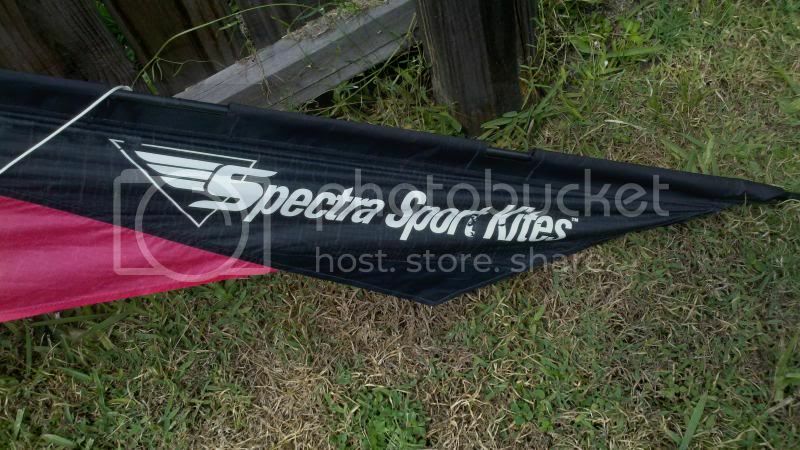 Is there a used "Spectra Sport Kite" lot in your neighborhood? 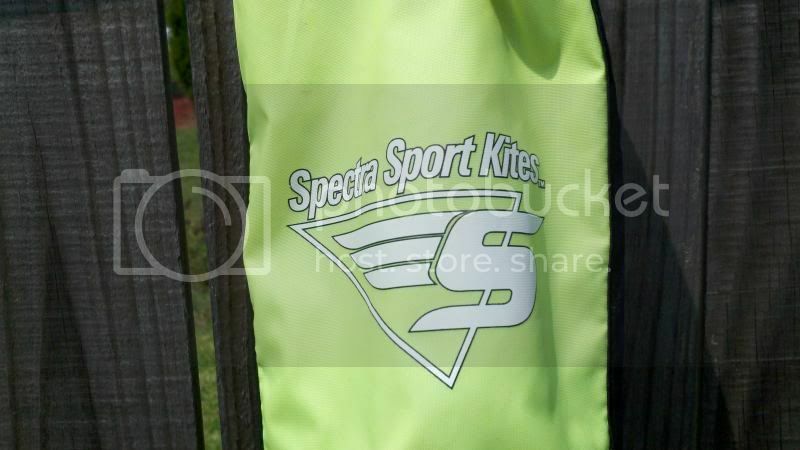 Spectra Sports should be getting a new kite for his bag tomorrow! 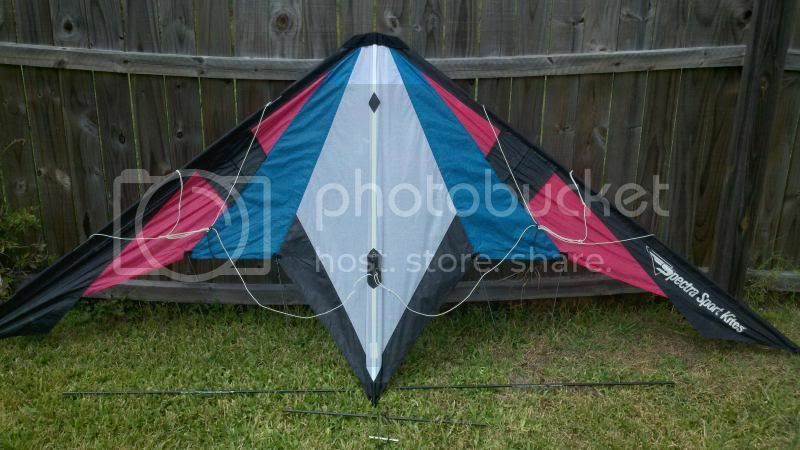 Actually the used kite lot is around my "old" neighborhood! Yes! 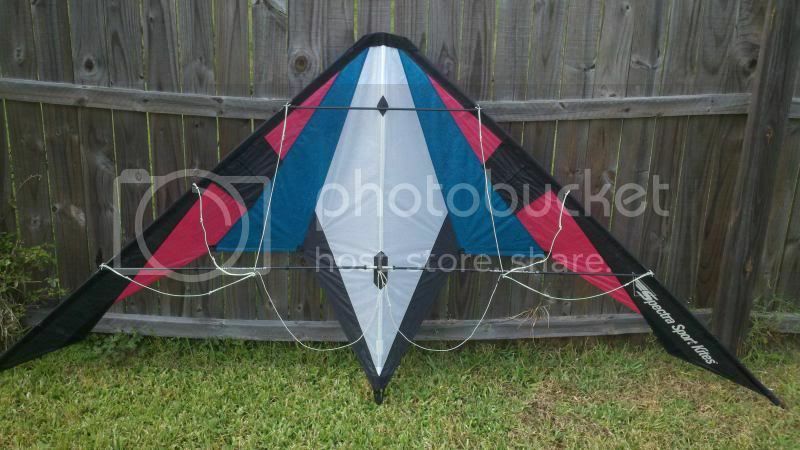 Quite excited about reliving more of my past with this next kite. I already have all the connectors ordered and in route. 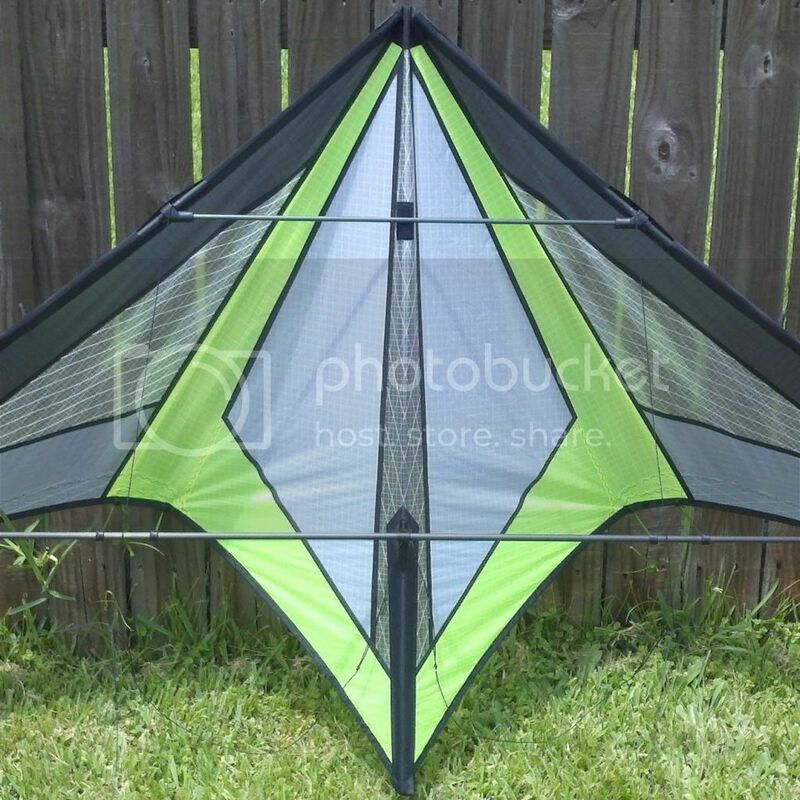 I'm also going to try and grab one of each model to make one set of kites if thief is able to hold on to the ones he has long enough for me to buy them and hopefully grab 1 or 2 kites each month. I also decided to at least have a couple T-Shirts made in memory of the dead brand name... I found some old logos and used those color schemes. Yesterday I received my next Nuke restoration project in the mail! I knew exactly what I needed to order as far as repair parts so that was placed as soon as the purchase had been completed. Parts are coming in this afternoon via USPS and I should have it in the air later this afternoon. I machine washed the bridle to a crisp white and used 3M Adhesive Remover, with a mild soap wash afterwards, to clean every tube to new like condition. I assembled the airframe with the new connectors. Took the Team UpRoar Nuclear out for some flight time. Winds were excellent this morning but sadly not even 2 minutes into its flight the lower spreader snapped and I had to land it quickly. 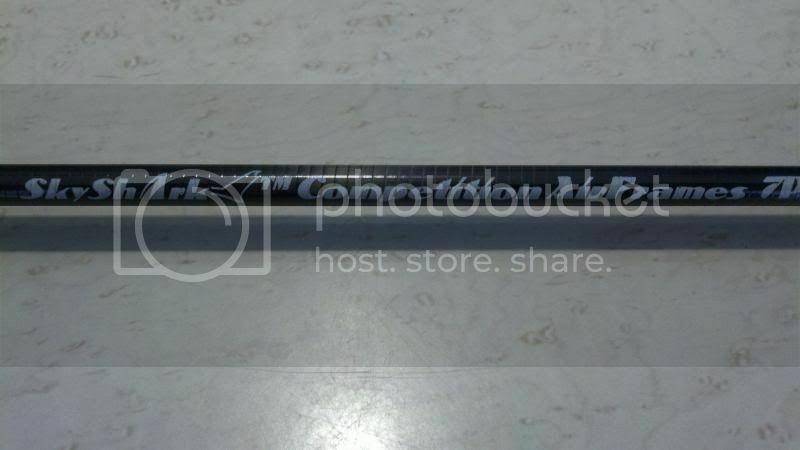 If anyone can please spare a 7P Sky Shark tube I would be most appreciative. Please PM me with pricing and shipping or post in thread. Thanks! By the way, are you serious about working up a t-shirt? I might have some extra 7p but I'll have to look. 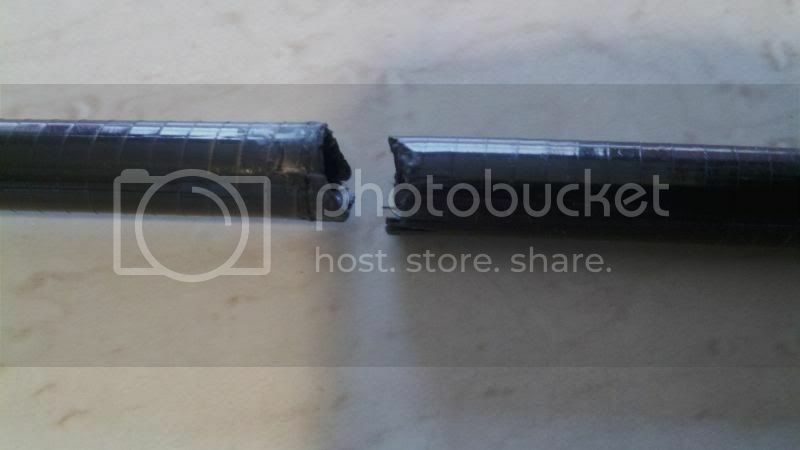 YOU can ferrule that spreader back together though.